I worry that in our fast-paced, mass-produced society, we’ve lost interest in and sight of quality. Let’s take furniture for example. Every time we look for a new piece of furniture, it seems like so much of it is lightweight, not durable, and made of inexpensive wood veneer. I am thankful that my husband is quite the craftsman because on a number of occasions when I’ve seen something I like but discover it is poorly made, Matt builds it for me. How about appliances? Recently, we had to purchase a new refrigerator. Matt, being the curious guy that he is, started asking the delivery man lots of questions about home appliances. I mostly tuned out the conversation because, well, I’m a woman, and I’m really not interested in how an appliance works – I just want it to work. But I do remember him saying that they don’t build things like they used to. He told Matt some story about a 1950’s refrigerator and ended by saying that refrigerators these days last about 8 years. Just like the countless hours Matt has spent and the numerous tools and materials he has purchased to build my end tables, buffet table, and entertainment unit, an authentic Persian rug also requires a significant investment in labor and materials. 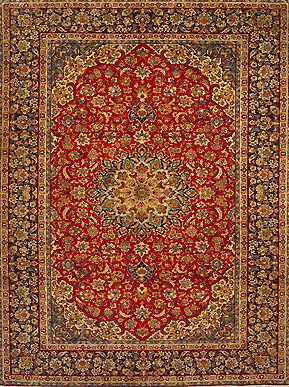 Rugs.tenthousandvillages.com stated that the amount of time invested completely depends on the type of rug, but they gave an example of a 9’ x 12’ Persian rug that has 500 knots per square inch, saying it would take 4-5 artisans working 6 hours a day 6 days a week roughly 14 months to complete. Because they are really well constructed, they will last for years. If it is properly cared for, it will increase in value over time. It will enhance your home’s décor and will never go out of style. It is something you will always be proud of. Not only will you have a beautiful rug, you will also have a story and a piece of history to go along with it. Someday you can hand it down to your children, and they will be excited to receive it. 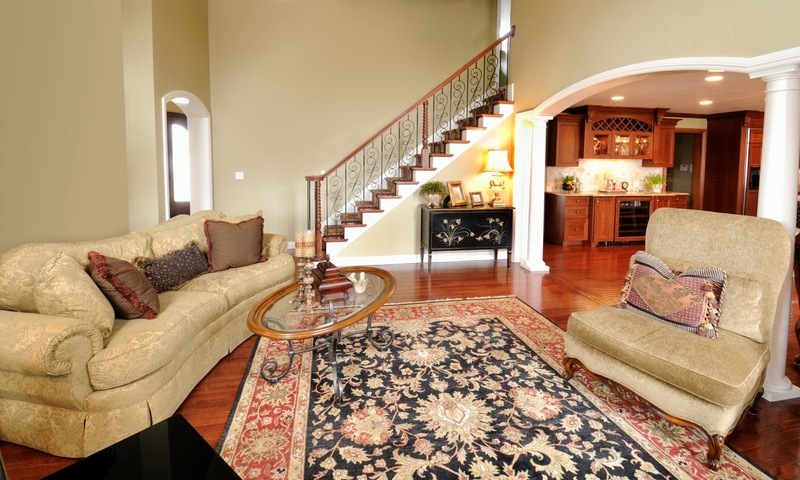 If you’re thinking about purchasing an authentic, hand-crafted Persian rug but you don’t know where to start, email Greg or give him a call at 336-804-0045. He will gladly answer any questions you might have and help you get started. It’s funny because I’ve seen these aprons worn by the staff at Cheesecakes by Alex, and I had no idea that we were the ones supplying them. I’ll admit that I was a bit excited. Mike, the General Manager of A Cleaner World Commercial Services, is not only passionate about what he does, but he too can be a bit of a foodie. So we started having a little fun with all of A Cleaner World’s food-related supplies, and my son Gray was a really good sport about the whole thing. We offer a wide variety of styles including full aprons, which are upper chest to mid-thigh length and half aprons, which start at the waist and can be as long as you’d like – even to the floor. They come in 5 assorted colors, with or without pockets, so you can match your restaurant’s décor, and we will be glad to add your company’s logo if you wish. We will set up a rotation based on your needs – once a week, every other week, or once a month. You tell us what works best for you. Front of the house aprons help with branding, give your business a more polished appearance, save your employees clothing, and keep things more sanitary. Plus, if an employee spills something down their apron – no worries, they can simply change aprons and continue working. Not only do we have front of the house aprons, we can also provide chef’s aprons, pants, and coats, with or without logo and can add a name or title as well. As a restaurateur, you and your staff don’t have the time or supplies to try and remove all the food stains that can get on an apron or chef’s clothing. A Cleaner World can get out stains that the average home washing machine can’t. We’ll return all these items to you spotless, in like-new condition. If the foodie in you needs some help with restaurant-related aprons, towels or uniforms, give Scottie Springer a call at 870-6299 or 992-0700. He will be glad to answer any questions you might have. This is Glenn Batts, Manager of the A Cleaner World on Leesville Road in Raleigh. Glenn is a garment care miracle worker. With 35 years of experience in this industry, he’s seen and fixed just about every problem you can imagine. I called Glenn several weeks ago because I wanted to verify that some information I was about to put on our website was indeed correct. My questions prompted him to share this story with me, and I thought it was a story worthy of repeating. It proves that properly preserving a wedding gown is really worth it. Roughly 10 years ago, a bride brought in her recently worn wedding gown for cleaning and preservation. Glenn cleaned, preserved, and placed the gown in our special chamber box, according to our customary procedures. Not too long ago, the bride brought the dress back in, still in the box, to be freshened up because her niece wanted to wear it at her wedding. Glenn offered to remove the dress from the box, examine it for any stains that might have oxidized, re-clean it if necessary, and then re-press the gown. When he removed the dress from the box, he said it looked just exactly as it did 10 years ago when he originally placed it in the chamber. There was absolutely no need to re-clean it, so he simply pressed the gown and had it ready when promised. The niece wore the gown, and then after her wedding, they brought it back to his store to be re-cleaned and preserved and placed inside a new chamber for another someday wedding. If your wedding gown has been sitting in a closet covered in plastic for far too long, drop it off at one of our locations and let one of our skilled managers take a look at it. You never know who might want to wear your gown someday.